David Alexander says the politicians behind rent pressure zones have little understanding of the market. Picture: contributed. Landlords in Scotland must have felt under attack on both flanks lately – from Westminster in terms of increased taxation and from Holyrood with laws greatly extending security of tenure and giving local authorities the power to introduce rent controls. But it seems there may be some respite with regard to one of the above. In its Housing Act of 2016 the Scottish Government did not specify rent controls but dressed them up by giving local authorities the power to adopt rent pressure zones (RPZs) within their boundaries. RPZs are designated areas where private sector rents are rising at an unacceptably fast level, so the authorities would have the power to regulate them with either a moratorium on further increases or annual percentage restrictions. As stated in an earlier article, I was not against RPZs in principle – if they were properly designated and the limits on rent increases were not too onerous, landlords could factor them in as part of their annual income and outgoings projections. However, either the legislation was not “thought through” or the Scottish Government played a rather clever game by showing that, yes, it was in favour of rent controls in high-pressure areas but passed the buck onto local authorities. And what has followed is hardly surprising. With their budgets already tightening, the councils who so far have indicated an interest in adopting RPZs – Aberdeen, Aberdeenshire, Edinburgh, Glasgow and Highland – are struggling to get things off the ground. For a start, the pressure is on local authorities to shed staff and I cannot see how work on designating RPZs could be absorbed by the current surveying and planning departments. Also, this is a whole new ball game so even if additional expertise was affordable, drawing up fair boundaries would be something of a nightmare. For example, in Edinburgh and Glasgow some high-rent and middle-to-low rent districts exist almost cheek by jowl. Will RPZ boundaries operate on fairly straight lines – or will they meander, going round corners and even cutting streets in half on the basis of rental charges? Of equal concern is the fact that the politicians behind RPZs have little understanding of what makes the market tick, for the provider and consumer alike. Take a street in Edinburgh city centre popular with white collar employees where rents on tenement flats are, on average, fairly high and so might be designated part of an RPZ. Some flats, however, are located opposite a pub and noise from smokers standing outside continues late into the night. Consequently, the landlord will accept a lower rent than for other properties on the street, even though the size and quality of the accommodation is almost exactly the same. Something else politicians don’t seem to understand is that even in the most popular areas rents don’t necessarily rise with the level of demand. Consider the landlord whose tenant is a single female business executive who spends much time travelling abroad and leisure time with family in the South of England. The tenant pays the rent timeously and wear and tear on the house or flat is minimal. Who would not want to keep a tenant like that rather than risk her moving by demanding an unreasonable rent increase? Indeed, in November and December, when the market is at its slowest, some landlords will actually drop their price so as to attract a tenant and avoid “rental void”. But try telling that to a politician who claims to be pro-business without understanding it, or worse still a politician who is hostile to the private sector. Let’s end on a positive note. 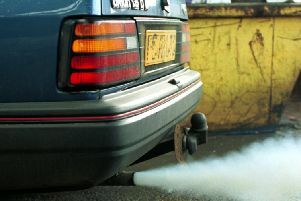 It’s now being suggested that the first RPZs will not be designated and start to operate for at least three years. But I’m keeping my fingers crossed it may be longer than that – if indeed ever. David Alexander is managing director of DJ Alexander.